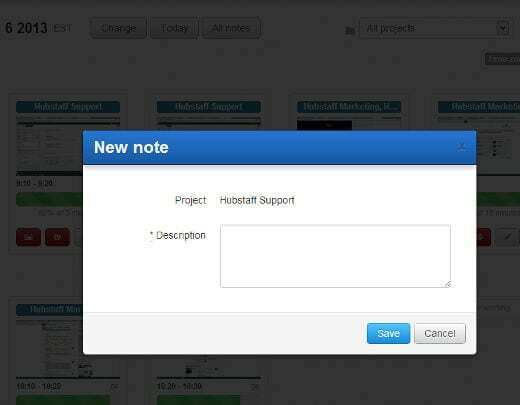 It is now possible to create work notes in Hubstaff. 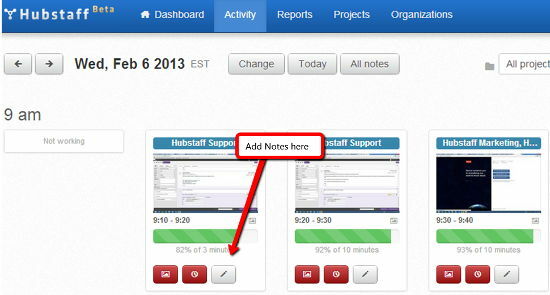 You can create a note right below a screenshot of activity describing that activity or anything else that you were doing during that 10 minute segment of work. 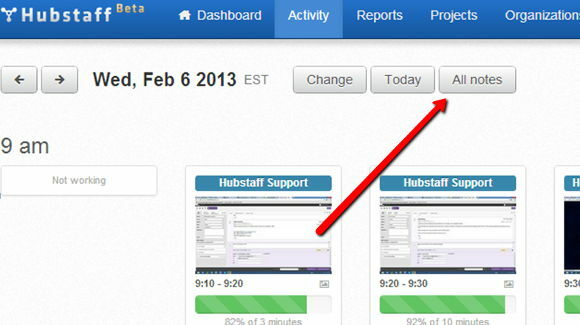 Users can add work notes by clicking the “pencil” button below. 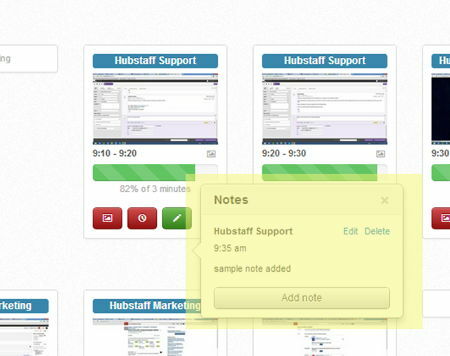 After the “pencil” button is selected, a modal box will appear where a note can be entered. 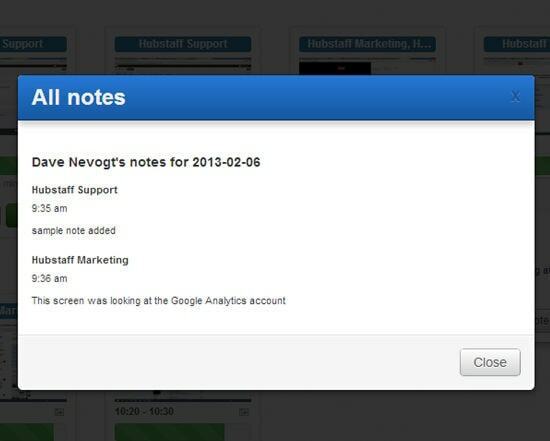 Notes can only be added by the user themselves, so the notes feature is not meant for discussion between a manager and their workers or team. It’s meant simply for a worker to describe what an individual screenshot was for and to give more detail on each ten minute segment of time. A user can add multiple notes for each segment of time, we do not limit to one. At this point in time, it is not possible to add work notes through the desktop time tracker. It’s only possible through the web application, though we are working on the ability to add notes directly into the desktop client. After a note has been added you will see an open box displaying the note. This box can be closed at any point in time. You will also see a box called “All Notes” at the top of the Activities screen. 2 Comments → Work Notes Now Live! Can the note be read by the employer?